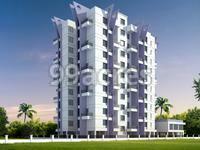 Yash Platinum, located in Pune, is a residential development by Yash Promoters. It is a Co-operative Housing Society. It offers spacious and skillfully designed 1BHK and 2BHK apartments. The project is well equipped with all the basic amenities to facilitate the needs of the residents. The site is in close proximity to various civic utilities. What is the project location?The project is located at Dhayari, Pune. What are sizes of apartments in Yash Platinum? The apartment sizes in the project range from 626.0 sqft to 1104.0 sqft. 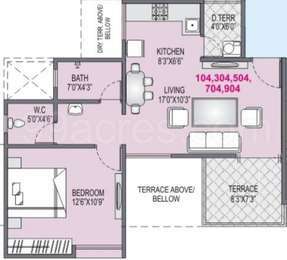 How much is area of 1bhk in Yash Platinum? The area of 1BHK units in the project varies from 626.0 sqft to 784.0 sqft. 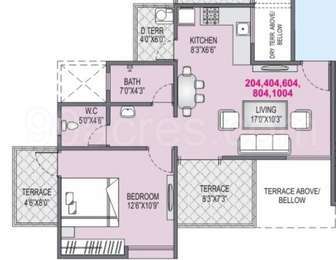 What is the area of 2 bhk in Yash Platinum? 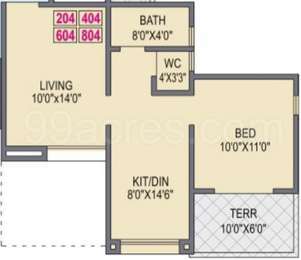 The size of a 2BHK unit in the project ranges from 917.0 sqft to 1104.0 sqft. What is total size of Yash Platinum?The project is built over an area of 3.5 Acres. What is total price of 1 bhk in Yash Platinum? 1 BHK units in the project are available at a price tag of Rs. 3899742 to Rs. 4165392. Decorative and fully secure Entasafe door. Vitrified tiles flooring in the entire flat. Safety grills for the windows. G. I. Powder coated French door for attached terrace. L shaped Granite kitchen otta with S. S. Sink and dado up to slab level. Provision for Aquaguard in kitchen. Separate arrangement for washing machine and dish washer in dry balcony. Provision for exhaust fan in kitchen and toilets. Concealed plumbing. Hot and cold mixing unit in toilets. Anti skid flooring tiles in toilets. Full height designer tiles dado in toilets. Jaguar make C. R fitting and standard make sanitary ware.